Simple patterns are absolutely not complicated in the implementation of. 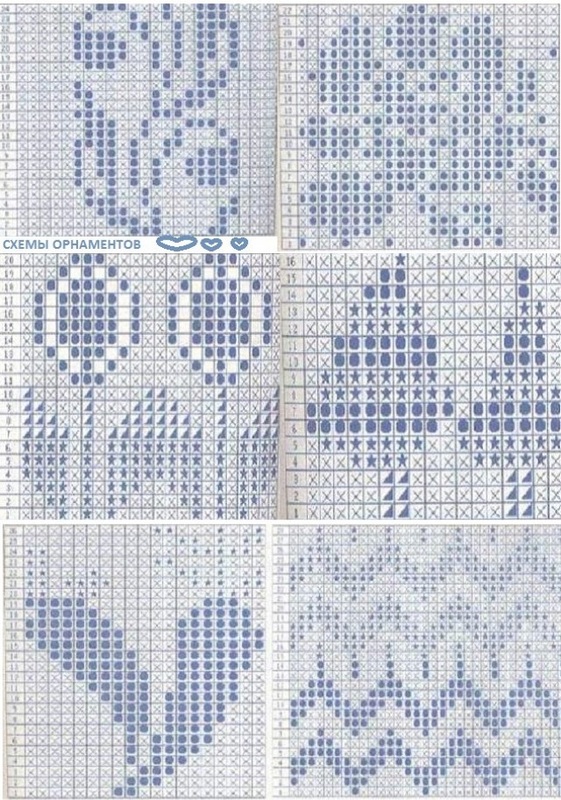 In order for them to easily do it is only necessary to learn vyvyazyvayut main types of knitting loops, namely, the front and the back loops, since it is a combination of all these loops are made simple drawings paintings. 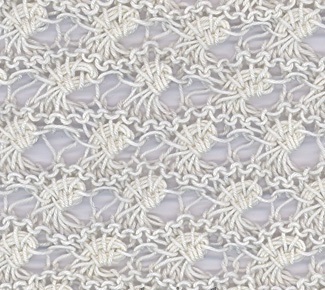 The most common of the simple patterns is stocking and garter. Stockinet It is one of the most widely used, quite often it is also called the front embroidery, in many fashion magazines can be found and its other name "jersey". For its performance in all ranks of the facial facial loop is knitted, and all backstitches - purl, and in circular knitting loop of each row or facial provyazyvayutsya, or Wrong. Garter It obtained in view of a bulk, and execute it even easier, what handkerchief, as the only facial created throughout the knitting, or purl loops. Choose knitting method can be, depending on what kind of loop better you get. 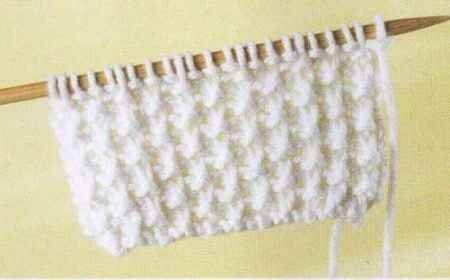 If garter stitch is performed in a circular knitting, then all odd rows are knitted facial, and the odd purl loops. In that case, If you want to associate a light and airy little thing, is the best fit almost any of openwork patterns. Such fine patterns are knitted from the yarn and using Figure nakida, so in the end it turns out very delicate and lacy fabrics of incomparable beauty. Very original, eg, in the finished product looks knitted pattern "Sea Foam". WITH 1 by 6 number of all the loops facial series provyazyvayutsya. The third and seventh rows provyazyvayutsya facial with three turnovers. Hinges with three turns are made as follows:: The right needle is inserted into the loop, then it is wound three turns of the working thread and dragged through the loop. In the fourth row, a repeating sequence: 1 Wrong loop, then from 5 loops 5novyh(5 provyazyvaem loops together 5 time). Last provyazyvaetsya loop seamy. 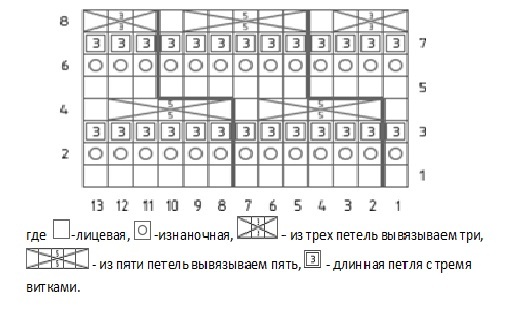 AT 8 a number of the first three loops facial provyazyvayutsya three times(three loops of three), then knit according to the report: 1 Wrong loop, 5 loops of 5 facial. A number of finishes provyazyvaniya three facial loops and 1 seamy loop. Pearl pattern looks great in these products, as a cardigan, jacket or coat, as well as children's and men's things. The advantages of this pattern may also include its ease of implementation and beautiful equally on both sides of the web. There are two varieties of pearl pattern - is a major, in another, he is also called rice or thread waste, as well as small. Knit small pearl pattern a bit easier, than a large. To this end, the sequence of the loop in the front ranks of the facial, Wrong, and on the wrong side of the front provyazyvaetsya Wrong, and on the underside of the front. 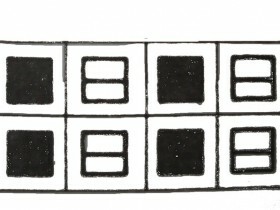 The first and second rows are performed as well as for fine pearl pattern: first in the front row front, Wrong, then the other number Wrong, front. In the third and subsequent rows, as well as in the second on the wrong front provyazyvaetsya, on the front Wrong. Pattern, resembling a cell makes the product volume, relief and mild. Very nice and gentle turn, eg, children little things, connected according to the scheme of figure. products, where there is a pattern to knit spokes cell better after prewash the sample and measuring the density of knitting, as the canvas, connected in such a way is too soft and very stretched. 2p. Wrong,1 nakid, 1 a loop, filmed without provyazyvaniya. 3p. front, then throws a working thread for cloth and retake loop nakida not knit, front. 4p. Wrong, Throws a working thread to the web and the loop sc again shooting is not knit, Wrong. 5p. We do ubavochnye loop, provyazyvaya two loops as one front eyelet, then do the wrong loop. 6p. Make a loop sc, then on the left spokes remove the loop does not knit and purl knit next. 7p. Two end loops, then the working thread for casting a web loop and retake nakida. 8p. 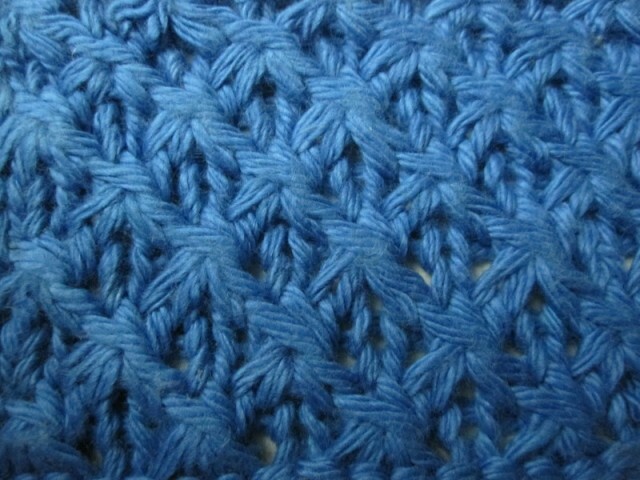 The thread is placed before knitting sc and again retake, 2 loop knit purl. 9p. vyvyazyvayut wrong, then loop subtraction, provyazyvaya two loops as one front. 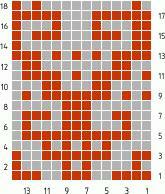 WITH 10 number of pattern repeats, starting from the second row. Another interesting and very popular relief pattern is a pattern of stars. With this pattern can be attributed not only the blouses of different styles, but also very beautiful hat will look for girls. 2p 1 front loop, Then, the element itself "asterisk": three loops provyazyvayutsya both crossed the front, then the loop will not charge, and working on the needle thread throws and doing sc, then again from the same loop is knitted crossed the front loop. 3-th and all other odd rows are knitted purl. 4 row. Vyvyazyvayut three facial, then sprocket element. The last series of three loops completing provyazyvaniya facial. After that knitting is repeated from the first row. 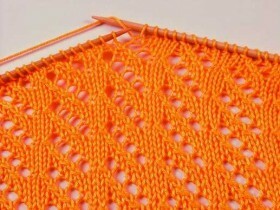 In order that the web is not contracted with the knitting element "star" loops need to do a little freer, than the rest. 1 row. Repeat knitting loops in sequence: purl two, nine facial. The last two series of loops purl provyazyvayutsya. 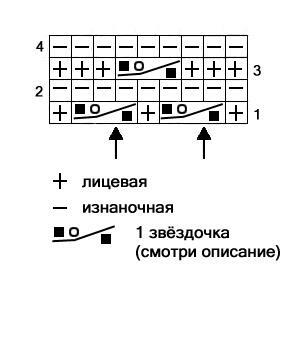 In all of the even rows, starting from the second, in the beginning of the series provyazyvayutsya two end loops, and then repeat sequence: 9 facial, 2 backstitches. 3-th row is knitted as the first. 5 row. Vyvyazyvayut begin braiding pigtails. Knit according to a report: 2 loop seamy, Three tabs remove the auxiliary needle for dreadlocks and plaits, then the next three loops facial provyazyvaem, then loops is knitted with the supporting spokes as facial, and complete a report three facial. The last two loops purl provyazyvaem. 7 and 9 provyazyvaetsya series as the first and third. 11 row. Knit report:2 loop seamy, 3 facial, three loops on auxiliary retake, Three knit facial, then dovyazyvaem 3 peresnyatye on auxiliary needle. The last two loop knit purl. 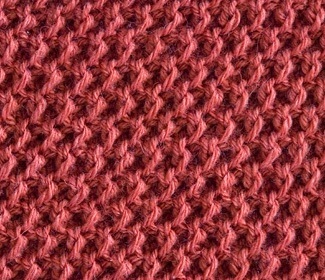 Knitting is repeated from the first row. Shishechka-knot. To create this element of a five tabs vyvyazyvayut, then again we throw them on the left needle and provyazyvaem new five loops together. Shishechka three loops. Vyvyazyvayut three loops from one face to the personal number, or wrong in the Wrong, after which the knitting is rotated by the other party, and new loops purl provyazyvaem. Then provyazyvaem them two more times, first facial, then purl. In conclusion, with the front loop provyazyvayutsya. Shishechka five loops. Shishechka done as in the previous version, but with more than five loops. 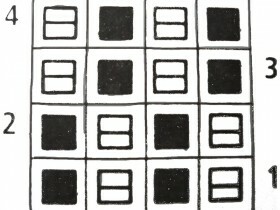 Another type of pattern in the form of nubs is drawing "kukuruzka". Provyazyvaetsya it with the covers loops. 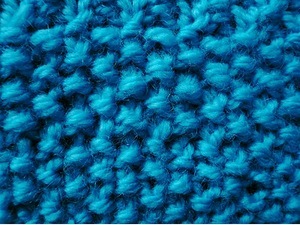 In most cases, the pattern used to create caps or other outerwear. 1p. The first three loops facial provyazyvaem, then repeat the following steps: 1 remove the loop, grabbing her needle in the direction from left to right, three facial loops provyazyvaem. 2p. The initial three-loop knit facial, after which a number fit for the report: Working thread is placed in front of the web and the loop is removed as in the first row, then the thread is moved back over the web and the following three loops facial provyazyvayutsya. 3p. 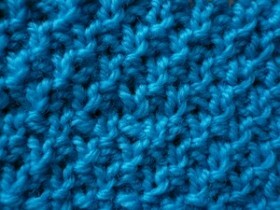 The first loop is knitted face, then repeat: make a copy loop for the near wall, The following three knit facial. Penultimate loop of a number of shooting again, and the last knit front. 4p. The first loop face, then repeated: worker thread to put a cloth, remove the loop in the same manner, as in the previous rows, Throws thread for cloth, three loops knit facial. Penultimate loop retake, previously thrown a working thread to the canvas, and then return it back to the front provyazyvaniya last loop. 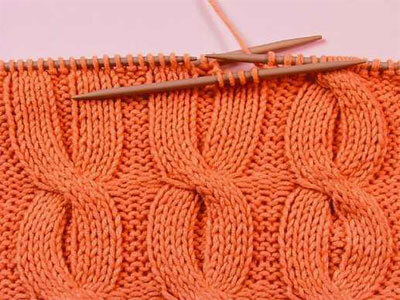 Starting from the fifth row of knitting, is repeated from the first row. In the first row in the sequence loop provyazyvayutsya front loop, then Wrong. In the second row all the loops facial tally. 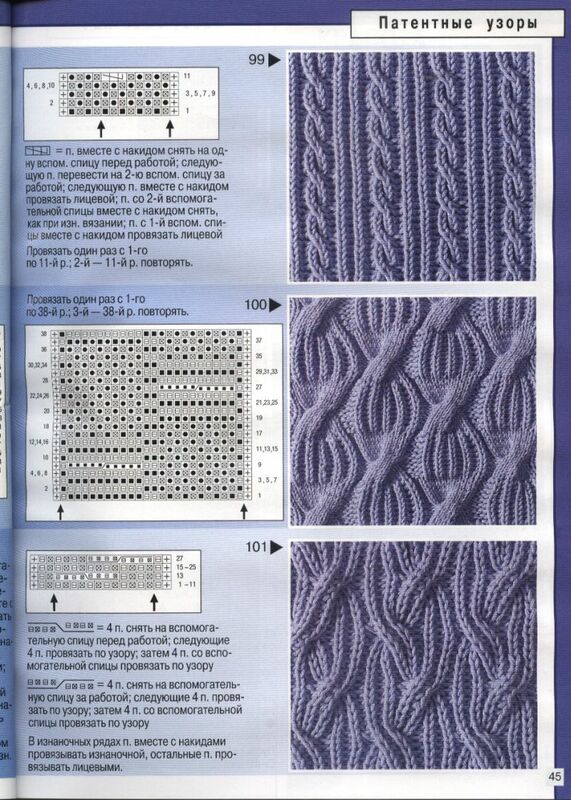 Starting from the third row of knitting pattern is repeated from the first row. Unlike multi-colored patterns on jacquard is, the first can be linked using any stitch, and the latter are made essentially only the front embroidery. Many multi-colored patterns to knit a lot easier, than jacquard. With the introduction of new colors can be made brighter and more advantageously individual elements of patterns. 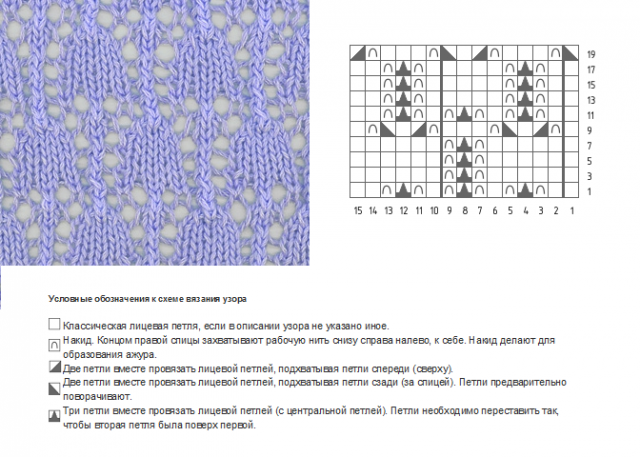 Initially jacquard patterns tally skilled workers using only two colors of yarn, but at the moment there is already a number of schemes, where there is a lot more shades. Jacquard patterns look fantastically beautiful and can complement absolutely any product. Representatives of these patterns are Irish and Norwegian. 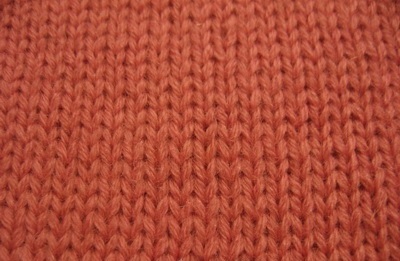 Fabric with jacquard pattern, usually, knitted stocking st, that is, on the front side of the front loop, to purl - purl. This is done, to figure it easier to see and nothing to distract from his eyes. Most often, such patterns are knitted of finer yarn. The hardest part of the implementation of the product - it does not pull the thread, fixed on the wrong side, and at the same time does not make them too loose. Knit jacquard pattern spokes should be very carefully, adhering to the scheme. 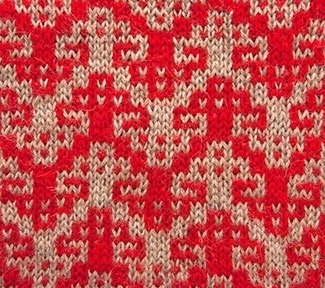 Let us consider the circuit performing the following two-color jacquard pattern, which is perfect for decorating, eg, mittens or scarf. 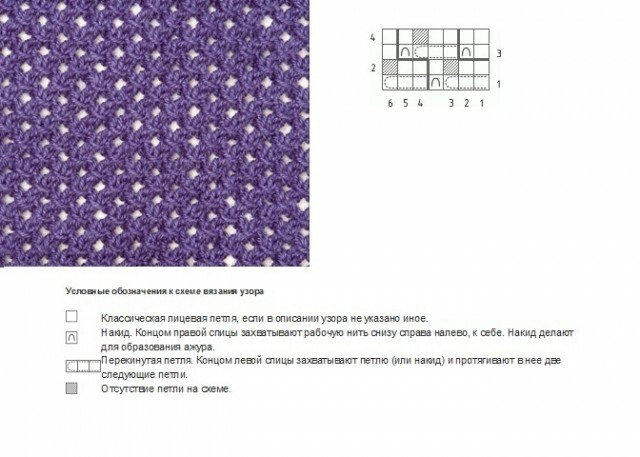 Knit this pattern should be clearly under the scheme, provyazyvaya the required number of loops in a row, first one then the other color. 1r.Vse loop knit facial: 4 loop red thread, 2 gray, 3 red, 2 gray, 3 red. 2p. All loops purl: 1 red, 4 gray,1 red, 1 gray,1 red,4 gray, 1 red, 1 gray. Unlike patent patterns from all the others is, that both the front, and on the reverse side of the sheet product is obtained in exactly the same. 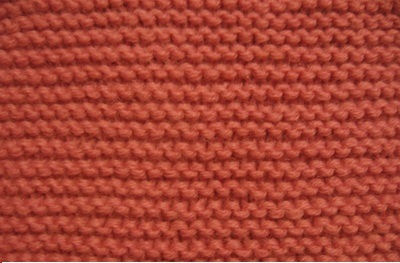 The advantage of knitted fabrics using such patterns also lies in its elasticity. A striking example is the pattern of patent, eg, bubble gum. All knitting patterns on your good, the main thing to find a suitable and corresponding to the selected product model and every thing will look just fine. helpful hints, advice and guidance to the time-tested action. Everyone can share advice from your knowledge and help others. join us!